It's National Sandwich Day my friends! Today we celebrate the Earl of Sandwich's need to play cards and eat at the same time. Hat's off too you my multitasking friend!! Today is National Sandwich Day "Yay sandwiches!!!" So I wanted to put together a group of sandwiches that my family loves. I mean, you can never have too many sandwich recipes right? Or Mac and Cheese recipes, but that is for another time...Anywho, here are 24 sandwich recipes that range from fancy enough for your next get together, to simple enough to have on the table ASAP for a a regular ol' family night. What is your favorite sandwich?? National Sandwich Day? I should have had a sandwich today!!!! What a great list you've got! Just have 2 tomorrow ;) I am glad you like them!! What a great collection of sandwich recipes! Thanks so much Mary Ellen! I totally under rate sandwiches, but always enjoy them so much. This is a great collection. Pinned! You can never go wrong with a tasty sandwich! 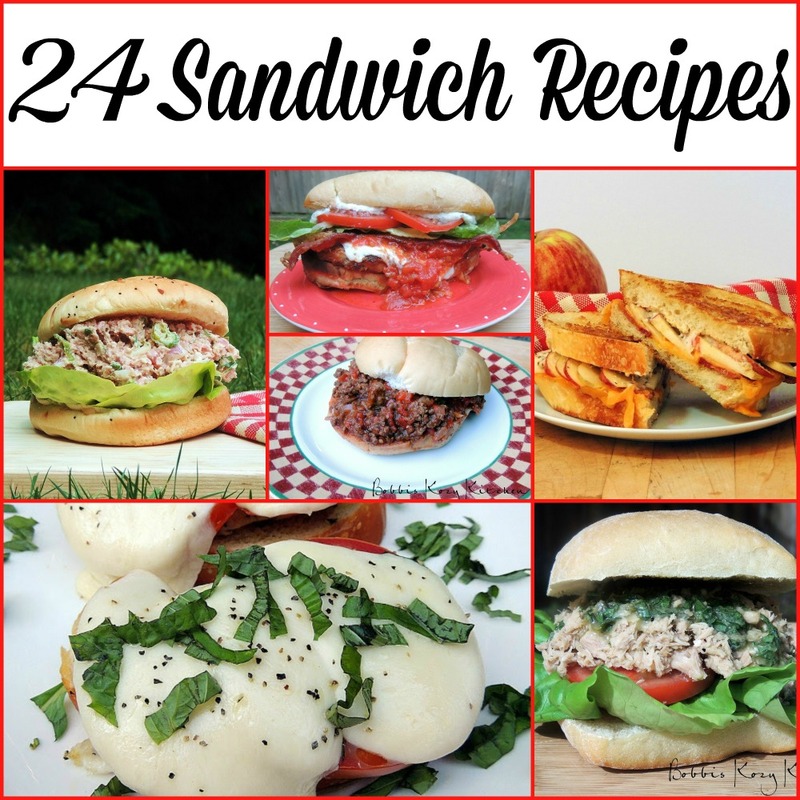 :) What a fabulous collection of sandwich recipes! Thanks so much Carrie, I totally agree!! You can never have too many pizza recipes, either! :-) This is a great collection, thanks for putting it together! Oh my! So many wonderful sandwiches, so little time! Everything sounds delicious, but I know my hubs will want those Florentine Meatball Subs! I need to put them on the menu soon. Thanks for gathering these all together in one place, Bobbi!